When George Washington Sears arrived in 1848, Wellsboro was a small forest town of less than 500 people. Wellsboro doubled in size between the arrival of the railroad in 1872 and Sears’s death in 1890, growing from 1,465 to almost 3,000 inhabitants. 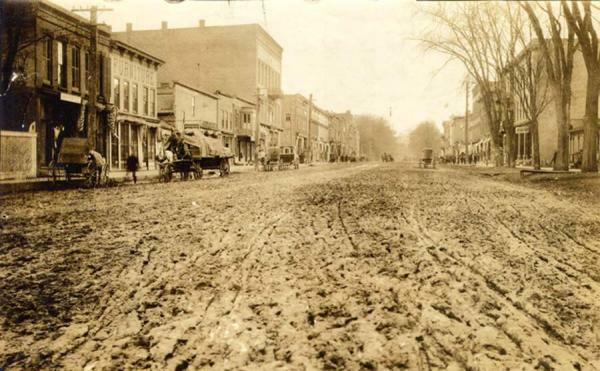 This photo of Wellsboro was taken in 1909 soon before its main streets were paved for the first time.